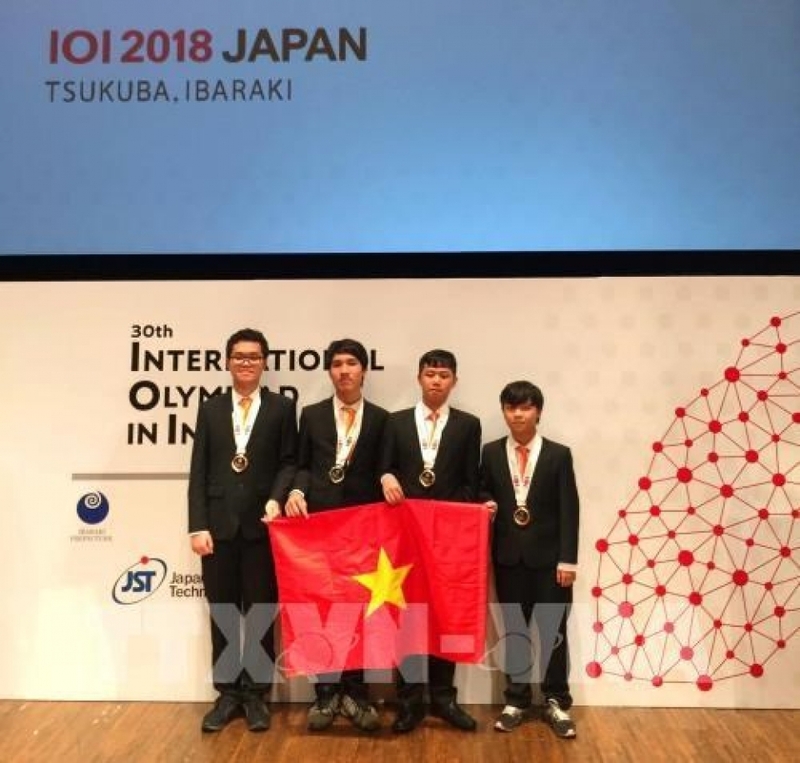 The Vietnamese team to the 30th International Olympiad in Informatics (IOI 2018) which took place in Japan from September 1-7 brought home four medals, the Ministry of Education and Training’s Department of Quality Management said on September 7. Meanwhile, two bronze medals belonged to Nguyen Hoang Hai Minh and Nguyen Khanh from the High School for Gifted Students of the University of Science under the Vietnam National University-Hanoi. The IOI is an annual international informatics competition for individual contestants from various invited countries, accompanied by social and cultural programs. The IOI is one of the five international science Olympiads, and is one of the most prestigious computer science competitions in the world. This year event saw the participation of 335 contestants from 87 countries and territories across the five continents. 167 students won medals, including 29 gold, 55 silver, and 83 bronze. With all four students winning medals, the Vietnamese delegation ranked 2nd in the Southeast Asian region and 12th among the attending countries.